What you learn today, you can use tomorrow. "I've admired Elmer Wheeler's teaching for a very long time. I've read all his books, booklets and articles in magazines. I've applied his principles and techniques to my selling career and as a result I retired 17 years ago at the age of 45. 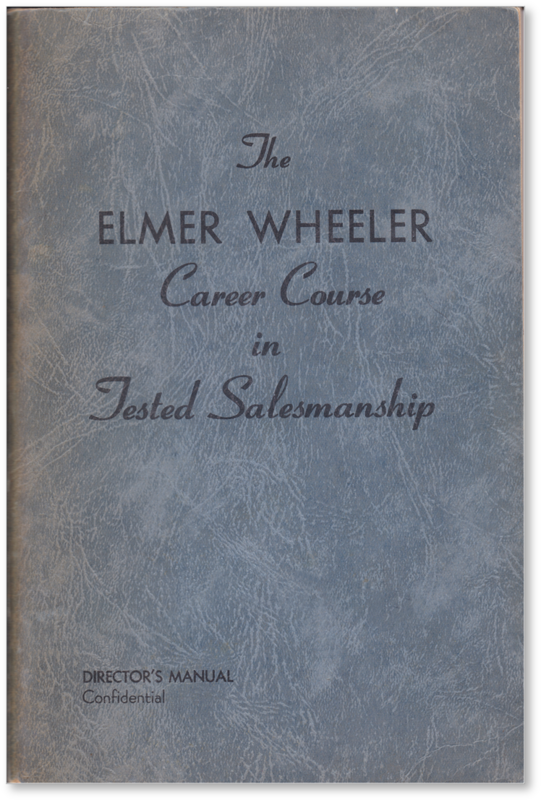 Author, speaker, and salesman extraordinaire Elmer Wheeler defined the art of the sale. 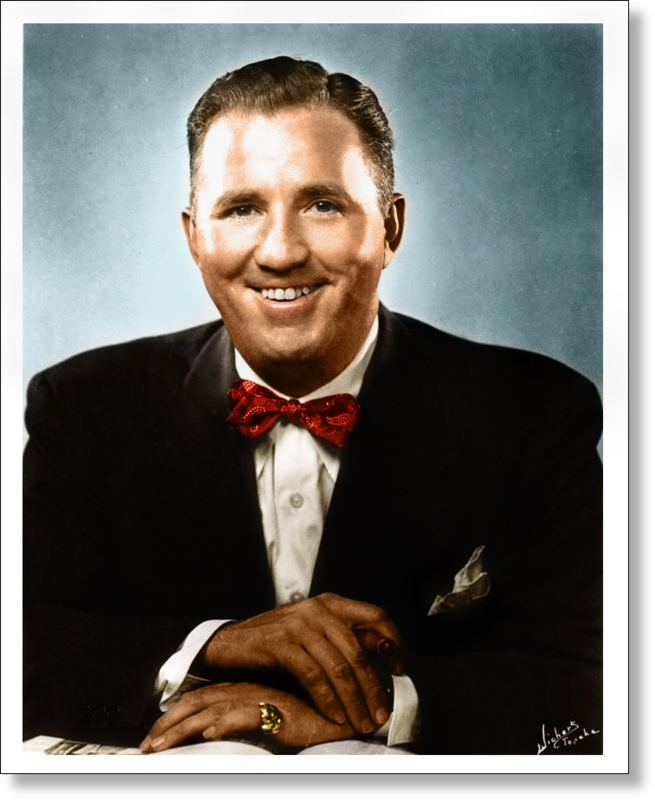 He established himself as a bonafide celebrity at the peak of the Great Depression, and his witty and salient sales principles (known as “Wheelerpoints”) are just as relevant now as they were back in the day. 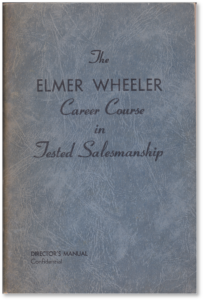 The Elmer Wheeler Career Course In Tested Salesmanship is offered here EXACTLY as Elmer originally intended and delivered online. Materials include the CONFIDENTIAL Directors Course Manual, the only copy known to exist is reproduced in exacting detail, identical to the original. Importance — Wheeler used psychologist Alfred Adler as evidence that the need to feel superior is the number one motivator for people to purchase something. Appreciation — The need to feel appreciated is the underlying reason many people leave their jobs—and their spouses. Approval — Everyone wants to be liked by other people. Attaining the sense of approval from others will cause someone to go to extremes—even if it’s to the detriment of their own good. Ease — People are fundamentally lazy. We want things easily, quickly, and to do things with the least amount of effort. Success — The definition of “success” is personal to each and every one of us. For some it could mean money, security, or a bigger house. For others it is watching their children grow up to be productive members of society. Whatever it may be, it is your job to define that motivator in your prospect. Keep these motivators in mind as you market and sell your product or service in your sales career. Chances are you’ll see your closing rate skyrocket! Here is a TESTED PLAN that will make you MORE MONEY, whoever you are. The Wheeler Career Course is for EVERYBODY--Salesmanagers, Salesmen, Store Clerks, Business Executives, Professional Men and Women, and anyone who wants to get along better through more knowledge of how to SELL HIMSELF to others. 247 Corporations---Since 1930--have used the Wheeler TESTED SENTENCES and increased sales from 200% to 2000%. These corporations include such firms as: American Airlines, J.C. Penney, W.T. Grant, Hotels Statler, Sears and Roebuck. NOW, the very same TESTED selling methods are available to firms and individuals. Who Enrolls in the famous Elmer Wheeler Career Course? And All Progressive Individuals Who Want To Increase their Social or Business Prestige and Personal Profits! Finding Out "What Makes People Buy?" Your Approach -- Picking the Right "Sizzle"
Closing Sales -- Famous "Snore Session"
Sure-Fire Ways to Detect Buying "Signals"
How to Turn "Lemons" Into "Lemonade"